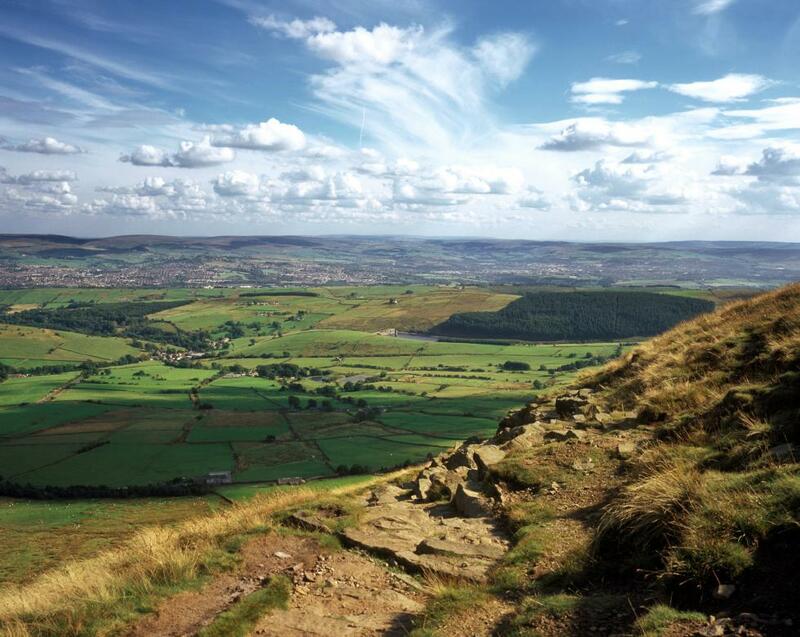 Thanks to money raised by National Lottery players, the Pendle Hill Landscape Partnership has secured £1.8million from the Heritage Lottery Fund (HLF) for its ambitious and exciting four year programme of heritage activity based on and around the iconic hill. The scheme aims to reconnect people with their heritage and the landscape of this special place. The partnership is led by the Forest of Bowland Area of Outstanding Natural Beauty and the National Lottery grant award is the result of three years of consultation and development. Also on board with the scheme are local councils, farmers and landowners, arts and environment organisations, and community groups. The photo below shows members of the Board of the Pendle Hill landscape partnership celebrating news of their successful grant application.